`The best memoir by a senior politician for years.' Simon Jenkins, Sunday Times John Major's autobiography is one of the most personal and revealing ever written by a former British Prime Minister. The account of his childhood, rise and fall is candid, scrupulous and unsparing. Major's early life was extraordinary; his rise through Parliament meteoric. Soon a favourite of Margaret Thatcher, he became Foreign Secretary and then Chancellor of the Exchequer. When Thatcher fell, he fought and won a shrewd campaign to succeed her, and went on to win a remarkable general election victory in 1992. He brought down inflation and ushered in a solid economic recovery, yet within months of the 1992 election, his government was in troubled waters. 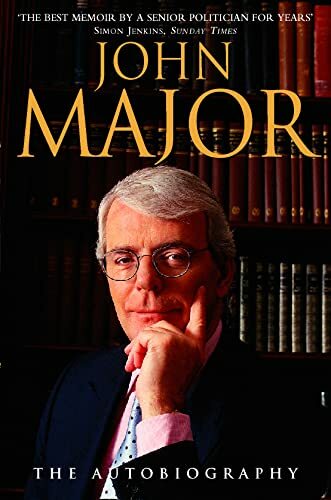 John Major is candid about his fight to keep sterling in the ERM and his reactions to `Black Wednesday'. He is frank about the civil war within his party over Britain's relationship with the EU. He is honest about what he won and what he lost, about friends and foes within his party as well as outside.